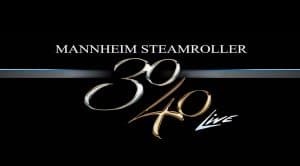 Mannheim Steamroller 30/40 Live is captured in high definition and recorded in surround sound over two evenings in December 2014 at the Orpheum Theater in Omaha, Nebraska — the hometown of Mannheim Steamroller. The program features a variety of songs, including some from their ever-popular Mannheim Steamroller Christmas annual tour: the iconic “Deck the Halls” arrangement by Chip Davis, “God Rest Ye, Merry Gentlemen”, “Silent Night”, and a special performance of “Greensleeves” featuring Elyse Davis, the daughter of Chip Davis. On CPTV: Monday, August 7 at 9:30 p.m.